Home Adsense What is Google AdSense and How does it Work? What is Google AdSense and How does it Work? : Google Adsense is the Ad Network run by the Google. One of the services Google provides is Adsense. This gives website owners a means to earn money online from their content. Whenever you do a search on Google or watch videos on YouTube, you may see the advertisement. Google Adsense does the job of serving these advertisements on a digital platform. Although there are so many more ad networks that do this work, Google Adsense is the most popular and better than all of them. AdSense is a Google Product / Network / Campaign. It was released in June 2003. This is an online advertising platform. Text, image, video etc. on the Adsense blog/website. Shows ads in the format. Initially, Ad Codes has to be implemented in Website / Blog, after which all work is done automatically. Google AdSense is a free program. It does not take money to show ads from any website. You must follow the AdSense terms and conditions to show ads for your site on AdSense. Also, the content available on your website should not be copied. Once the Adsense account is approved, you can set up the ad size or ad format for your website/blog and you can place the ad placement as you wish. When $ 100 is earning in your Adsense, you can take it directly through your bank account through wire transfer. Google Adsense is the most popular way of earning online earning and most creators use it. As many people who blogging or run a YouTube channel, their main source of earning is AdSense. If you want to earn good revenue from Adsense, it's important to have a visitor on your blog or website. There is no point in putting ads on websites or blogs without traffic. Know about what Google AdSense is all about. Now know how Google AdSense works. We can divide the way Google Adsense advertises in two parts. The first is advertisers and second publishers. Advertisers- Advertisements of companies, brands or others we see / whose advertisements we see are called Advertisers. Publishers- who place ads in their website or blog, i.e. called advertisers' publishers who show ads on their site. Let's understand with an example ... 👉 Suppose a Netflix advertiser is appearing on a website or blog, then here is Netflix Advertiser and the site or blog showing this advertisement is a publisher. If you understand. Google Adsense in easy terms, then if you want to advertise a company's advertisements on your website, then you have to talk directly to that company, and this work is hard-working, It is also difficult with you to contact with how many companies you can. Similarly, the same applies to those companies or brands who want to promote their products and to be beneficial marketing in the digital world. Companies need platforms that can properly distribute their ads. To address this, Google launched a program called Google AdWords. It works in collaboration with Google Adsense. Through Google AdWords, any company or brand that wants to advertise for promotion and marketing of their products can submit their advertisement to the company AdWords. Google AdWords serves ads through adsense. The ads we see in our mobile or desktop area show based on our usage, search, browser history, interest. You must have noticed one thing that whenever we have any shopping sites such as Amazon etc. And later open another application such as a News / E-Paper app that uses Google Adsense, you will see Shopping related ads there. This is called interest-based advertising. Apart from this, Google Adsense shows advertisements in many more ways. One of those methods is keywords based ads. Keywords: The words (words) that are typed and searched on Google. When you open a website/blog by typing a keyword in the browser, Google bots detect those keywords and shows them the related ads. Apart from this, advertisements related to the category of websites or blogs are shown. Like fashion, related advertisements will be shown on the blog of fashion category. Now the question arises in your mind that what is the benefit of this to Google? ... so let's know a bit about it. The advertiser who gives Google the money through Google Adwords to show his ADS, most of the part is given to webmasters /bloggers/website owners and some parts are kept by Google itself. Google has the advantage of this with advertisers and it is a key source of Google's Earning. Google Adsense is an advertising service from Google. If you run a website or blog, you can be earning from your blog or website using Google Adsense. Youtube channel can also earn money from adsense. 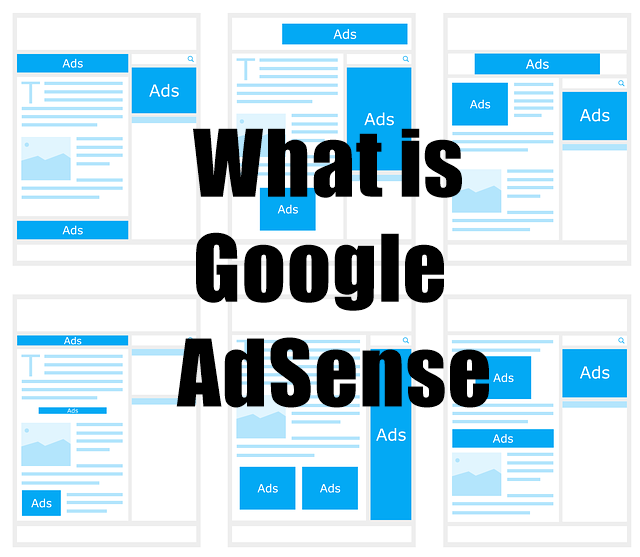 Hope you guys liked this post in which we know what Google Adsense is and how it works? If you have any questions related to this, then definitely ask in the comment box.